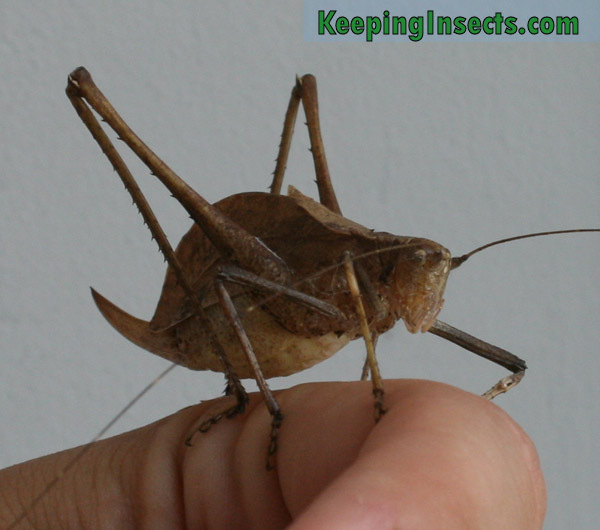 Ventralla quadrata is a katydid species naturally occuring in Malaysia. 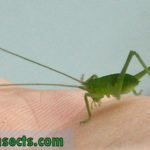 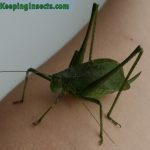 They are not commonly found as pet katydids. 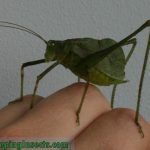 This species eat bramble leaves and needs high humidity and high temperature. 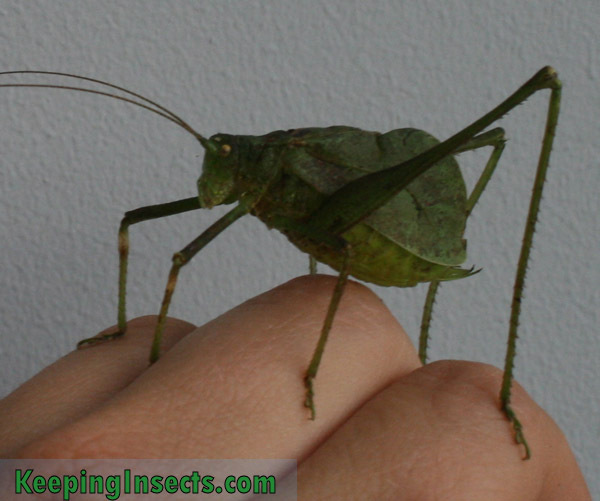 Especially the nymphs need a lot of humidity, but are also sensitive to mold and stagnant air. 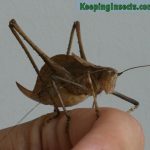 It can be difficult to raise them. 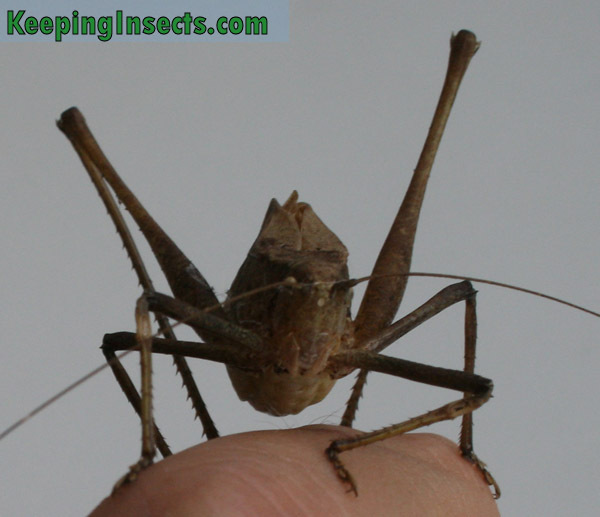 The adult males are extremely noisy and can therefore not be kept inside the house without you going crazy. 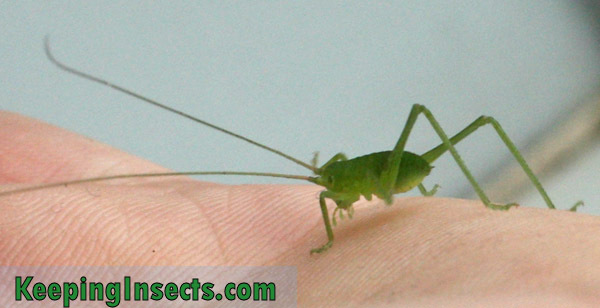 I guess that is part of what makes this species not as popular as other insects as pet. 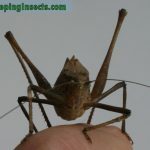 Here you can find some pictures of this species.